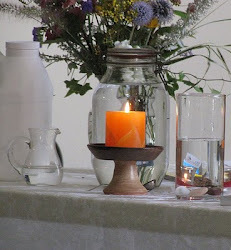 UU A Way Of Life: Are there holy people among Unitarian Universalists? Are there holy people among Unitarian Universalists? Developmental psychologists teach that human beings move towards the actualization of their potential given the nurturing and facilitating circumstances required. There are a few models of human development such as the one for cognitive development taught by Piaget, moral development taught by Kohlberg, epigenetic development taught by Erikson, and Maslow's hierarchy of needs. 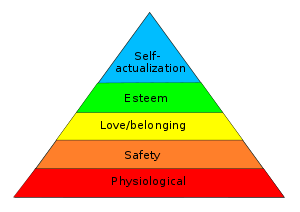 Maslow taught that after physical, social, emotional, and psychological needs are met, the human being reaches the pinnacle of his pyramid of needs which is the need to actualize one's potential. 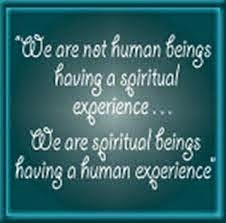 The spiritual teachers tell us that the actualization of that potential is God consciousness or what we call, at UUAWOL ministries, cosmic consciousness. Up until now in human history very few human beings have flowered into their potential. Most stay stuck and content, perhaps, at lower levels. The attainment of higher levels of need fulfillment, the actualization of one's potential, is often involuntary in the sense that the individual was not consciously aware of the drive for actualization but simply felt in their uneasiness that there must be a better way. As their life has gone on they became less psychologically attached to the building blocks of their personal identity for various reasons, some intentional and some circumstantial. This detachment from aspects of personal identity when engaged in intentionally, are what is called renunciation which is the third theme of the perennial psychology. In Unitarian Universalism, this actualization of potential at the highest level is the shedding of the ego to enter into an experience of the interdependent web of existence. Without a clearly articulated mystical tradition of its own other than transcendentalism, Unitarian Univeralists don't get much help from their religious faith in moving into this level of consciousness. Ralph Waldo Emerson takes a stab at describing this level of consciousness in his essay about, what he called, the "oversoul." There may be a few awakened souls among Unitarian Universalists but the they often go unrecognized because their fellow UUs don't know what they are experiencing when interacting with them. These people are the saints, the holy ones. The failure of Unitarian Univeralists to recognize the holy among them limits their ability to carry out their mission which is sanctify the world by helping people to become holy by covenanting together to affirm and promote the seven principles. Most people would not recognize the Buddha or Jesus were either one to walk amongst us today. We are too busy texting, and Facebooking. The actualization of potential requires a real, not a virtual, relationship. Be on the look out for a holy person. If you know what you are looking for, it is more likely you will find one.